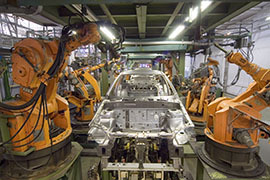 Cadence has extensive industry experience from making millions of automotive components used in hundreds of types of automotive products. We currently make many unique components that are often complex and a part of critical to function systems. Production requires industry expertise and multiple manufacturing disciplines as well as knowledge of how to join specialized materials in a precision molding environment. Our products are being used by major automobile brands such as GM, Chrysler, Ford, Toyota, Honda, Kia, Hyundai, BMW, and Volkswagen.